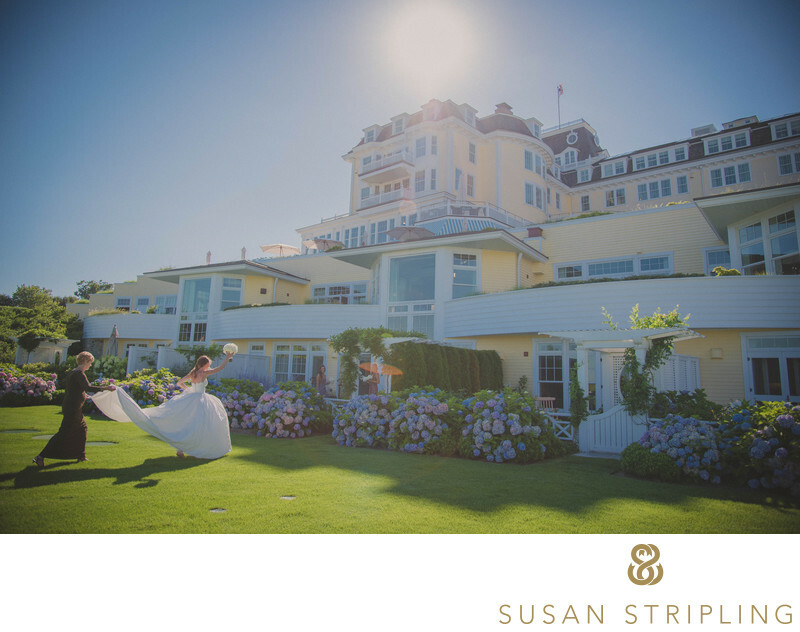 Located beautifully in Watch Hill, Rhode Island, the Ocean House is the perfect setting for a wedding. This extraordinary waterfront resort provides everything you’d possibly need to create a meticulously gorgeous wedding celebration. From it’s amazing location to the fantastic service from the Ocean House staff, you can’t go wrong with this iconic location! Watch Hill is a magical place, so incredible that Ocean House’s newest neighbor is Taylor Swift! People are drawn to the Ocean House from all over the world. 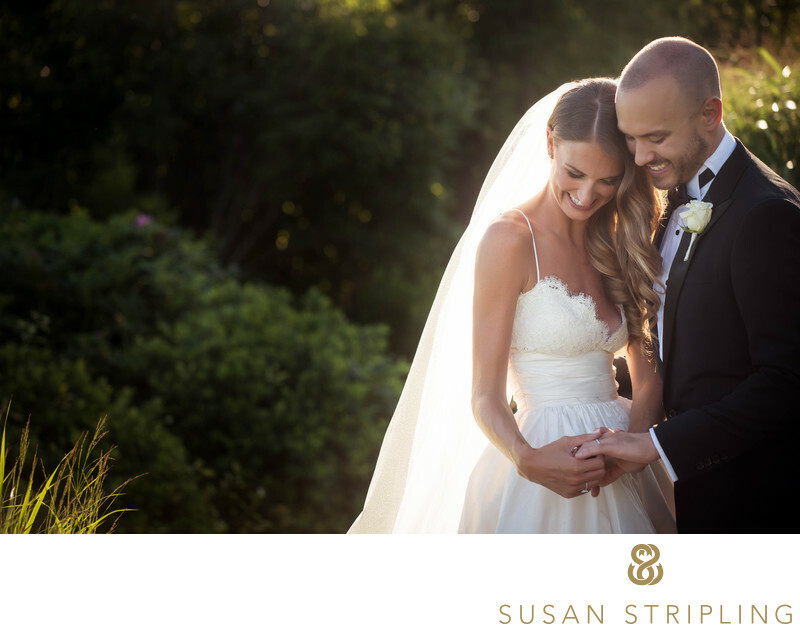 I love photographing an Ocean House wedding, because the light is simply so magical. Whether you’re outside at sunrise, midday, or sunset, the light has a truly luminous quality. This image was taken near sunset, during the portrait session of the bride and groom together. 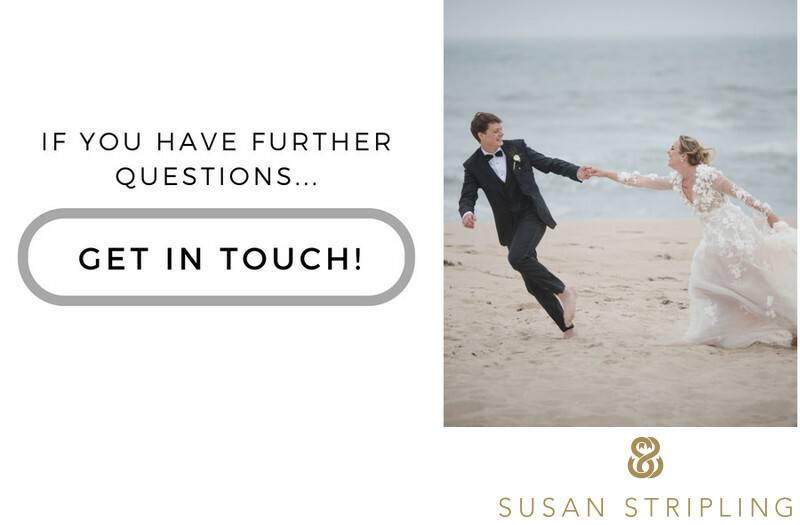 They had just finished their incredible beachside wedding ceremony, and recessed towards the Ocean House to steal a few moments alone before the portrait session began. I followed them up the path and hung back, waiting to see what moments developed before stepping in and beginning the portrait session. I knew their family and wedding party were behind me and would be there any moment, but the few moments the bride and groom had together were something that I didn’t want to interrupt! I absolutely adore this moment. The bride and groom were hugging and snuggling, and took some time to look at the groom’s new wedding band. No staged moment would ever have the impact that a real moment like this does! I love that I was able to wait and see this moment develop, capturing it before stepping in and starting the portrait session. I am always so honored when clients allow me into their lives and reveal these incredible moments in front of my camera. 1/400; f/4.0; ISO 180; 130.0 mm.